On a rainy day last October, I went to the site of the worst genocide in human history. A murder scene. It is a small town in Poland known locally as Oswiecim, where forty thousand ordinary Polish people live and work today. But the air is still thick with the memories of the millions of people who were taken there between 1940 and 1945, and the ground holds the graves of the people who died in it. This is the thing that I haven’t been able to talk about since I came home from Poland. It is a thing that words will never be quite enough for. I saw Auschwitz in the rain, and now it’s impossible for me to imagine that the sun ever shines on it. It takes your breath away, a bit. I remember feeling as if I was holding my breath, walking through the camp that looks like a model village. It didn’t feel real. The reality of what was done there is too much to comprehend. But then I came upon the wall where, before the gas chambers were built, Jews were taken, stripped naked, to be shot and killed, a wall that is a memorial to the people who died there and that still today is covered in the offerings of those who go there to remember them, and it was there that I broke down. The birds don’t sing there. Today is the sixty ninth anniversary of the liberation of Auschwitz, on 27 January 1945. Today, I pray for the memory of the six million Jewish people who were killed in the Holocaust. I pray for the people who spoke out, and who for their bravery and their principles also lost their lives. I remember that we were not innocent, that we were complicit in our silence and that we are complicit today in the erosion of civil liberties and the murder of ethnic minorities that takes place still, across the world, on our watch. I pray for a revolution. And, some day, I hope, I pray for peace. 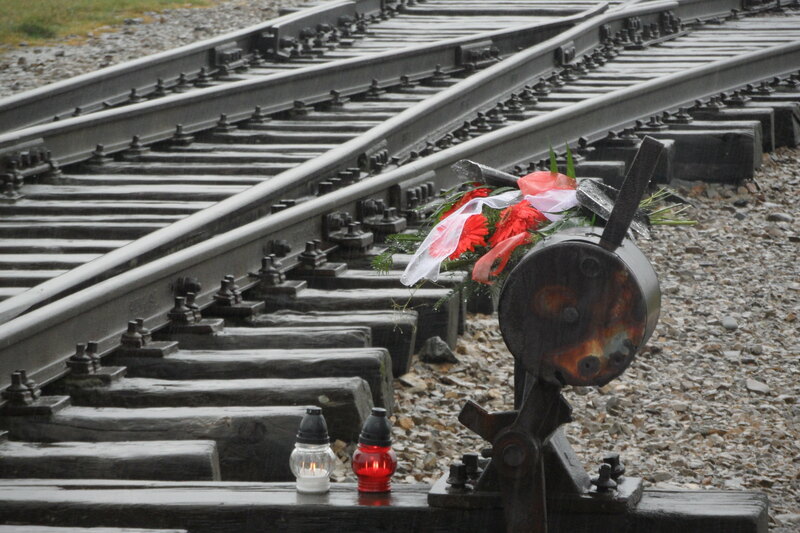 This entry was posted in Blog and tagged auschwitz, auschwitz birkenau, holocaust, holocaust memorial day, poland. Bookmark the permalink. Moving tribute. Thank you for sharing your thoughts. Heartbreaking. And it is beyond belief that such atrocities continue all over the world in the 21st century. I try not to despair but it’s tough.